NF - Above 5224, take it to 5252 after that hurdls are 5277 & 5304. as ususal supports are 5198 & 5162. RANBAXY - As per previous post, After resisted 463, once again came down to the support level of 433 (low 432) and yesterday closed at 452. Now What Next? . above 450, resistances are same 464 & 473. RELINFRA- Hurdle 1110-1116. come down to 1085 & 1060. HDIL - Below 260, take it down to 253 & 247 but after that utlimate in down side 190-180. Upiside resist at 272-275. SESAGOA - If trade below 400, going to bottoming out at 391-388. 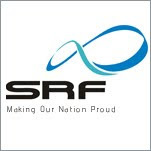 SRF - Hereafter support 221-218. going to attack 233 & 241 after that 260 & 273.